Congratulations on your sign-up – you’re going to enjoy all the information I’m going to be sending your way with access to my special hypnosis resource membership. This membership will always be FREE to you. 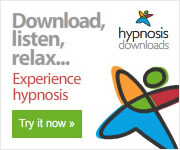 As a bonus for joining today you’ll receive the full MP3 session of my popular Mindfulness Session to download. I’d love for you to Like my Facebook Page so you can discover lots of additional resources and articles related to mindfulness, hypnosis and other related topics posted there every week.